Have journalist lost their guts? 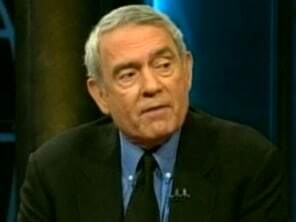 March 19: Dan Rather claims that the media has lost its guts. Is he right? Joe Scarborough discusses with Matthew Felling of the Center for Meida and Public Affairs and political analyst Lawrence O’Donnell. On March 12, 2007, Dan Rather gave a speech at the South by Southwest interactive conference in which he said the American media had “lost its guts in recent years.” Rather accused the mainstream media of being afraid to challenge authority and not providing critical reporting of the White House and the Pentagon, for fear of being seen as unpatriotic or unsupportive of America’s fighting troops in Iraq. According to news accounts, Rather received significant applause when blasting the media and biting the hand that used to feed him pretty well. As media analysts, it is part of our job to be critical of the media. When we offer concrete recommendations, it has value to our profession; but Dan Rather’s recent media assault is a very different story. Dan Rather seems stuck in a time warp. He gets big points for his important coverage of Nixon and Watergate in the 1970s; but he is ignoring or denying the fact that he got dumped at CBS News not because he was challenging government or corporate elites, but because of his sloppy reporting and the fallout at CBS News regarding his coverage of President Bush’s military service. I can understand Rather being frustrated after 40 years as a top journalist being pushed out at CBS News, but the fact is he was also pushed out because his ratings were down and CBS saw an opportunity with “Rathergate” to dump him. It’s cruel, but it’s part of the business. So his argument that the media need to be more aggressive and challenging just doesn’t hold water today. Think about it. Did the news media hold back on Enron or Tyco or Jet Blue, most recently when they screwed up at JFK? In fact, Joe Scarborough went after the airlines big time given his experience sitting on that runway for about 10 hours. Don’t the airlines represent corporate America? What about Walter Reed? The only reason the power structure at the Pentagon and the White House may do anything to improve conditions for veterans is because of aggressive and adversarial media coverage. I would say our “spine” was pretty covering that story. I wish that Dan Rather, an icon in the news industry, would simply acknowledge that in some ways the industry has passed him by and that he had a tough time competing in this incredibly competitive marketplace. To say that the media is “spineless” is to divert attention away from how he went out, which is a shame given all he put into his work at CBS News. The media is far from perfect, but Dan Rather’s argument just doesn’t cut it.